Select the sport and type of activity (league, tournament, camp, class, etc). Next, you can add prices and options for online registration. Use Playpass to accept online payments in United States Dollars. Setup is free and fast. Online payments are available to cricket organizers in 25 countries, including the United States. All payments are securely processed by Stripe. You can decide to absorb Stripe's card processing fee or pass it on to your players. We charge a small 0% - 3% registration fee for online payments. Don't lose new players to clunky registration software or paperwork. 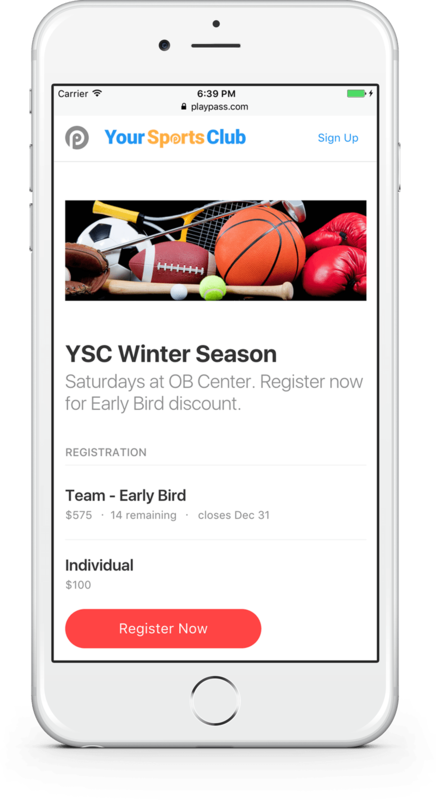 Playpass has you covered with online cricket registration software that is beautifully designed for mobile, tablets, and PC's. Delight customers with quick and easy registration. Upload files and docs, ex: facility rules, etc. 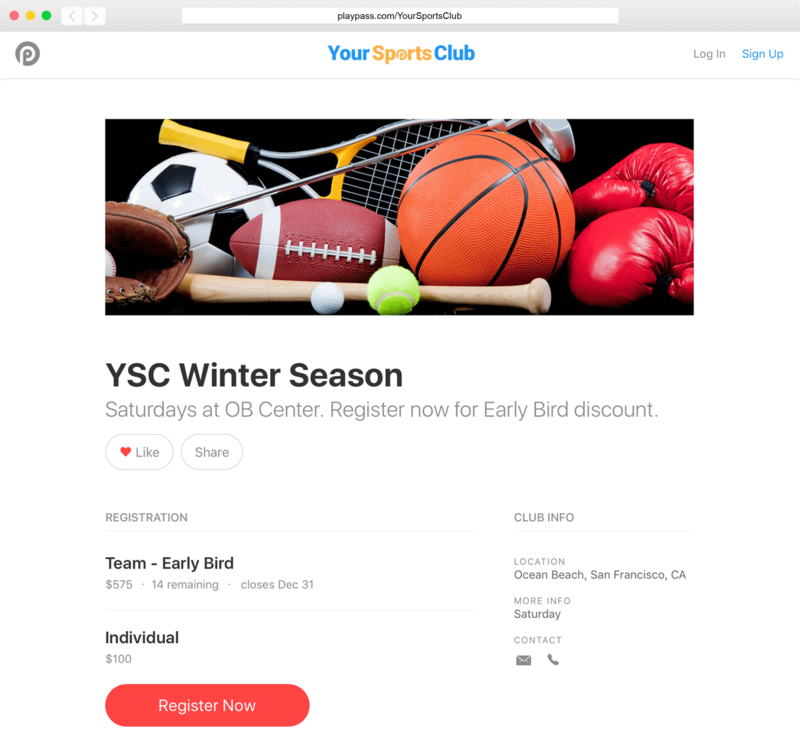 Create a new schedule, registration activity, referral program, waiver, or cricket website.